An early morning departure for Southern California was the beginning to an action-packed Friday full of Acura adventures. I had the opportunity this afternoon to attend an exclusive event at Honda/Acura headquarters in Torrance commemorating the Acura brand’s 25’s anniversary celebration this year. 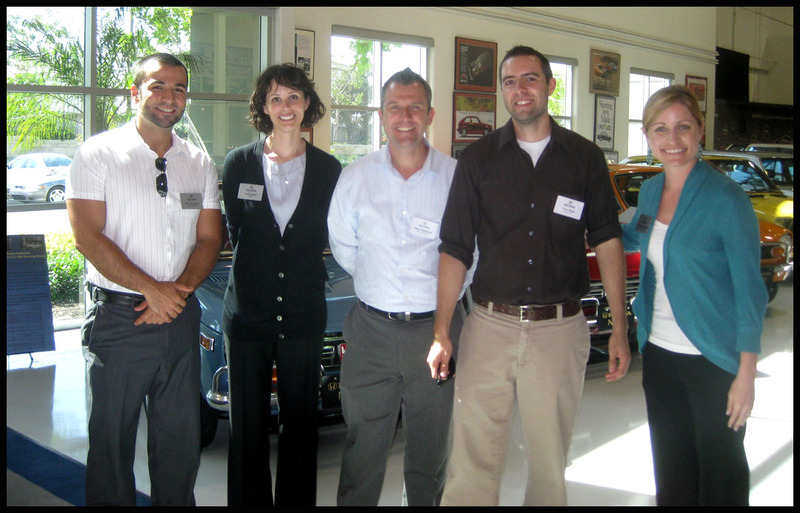 Along with the invitation came the opportunity to preview and test drive each model in the current fleet. My car-nut friend Matt handled navigation duties from the shotgun seat while we found our way to Honda America’s corporate office this morning. Some very loud Metallica music and a pit-stop for caffeine assistance at Starbucks in Indio, California helped us overcome the lack of sleep and 5:30 a.m. departure. I missed the photo-op for the 489,000 milestone somewhere on the 91 freeway. We arrived at our destination a few minutes ahead of schedule and I was thrilled to have a few minutes to stretch my legs. Acura really rolled out the red carpet for a handful of us today. I had the distinct honor of meeting folks from various other online blogs, including socalautoblog.com, the Acurazine folks, Cars Direct, Temple of VTEC, and others. We received a feast for both our tastebuds (free lunch!) and our eyes while we watched some of this year’s promo spots for the refreshed model lineup and learned about some of the impressive heritage that Acura has developed over the years. 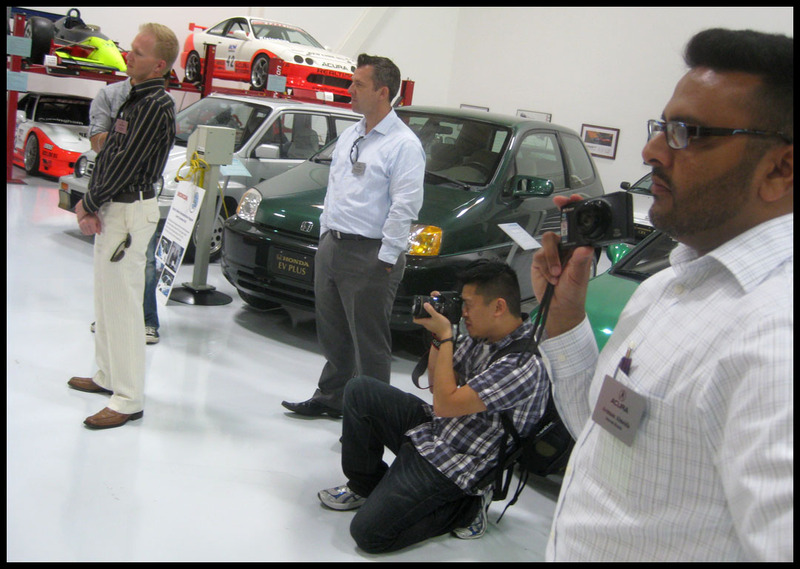 The next part of our visit was a special visit to the Honda Collection – a warehouse full of mint condition and usually low-mileage examples of some of Honda & Acuras models from over the years. I was a kid in a candy store. Finally, I got to drive some of today’s Acura models. Having driven an Acura flagship model as my daily driver for the last 8+ years, my first pick for my test lap was the 2011 RL. I wore a huge grin I’m sure as I took my lap around the block in this fine car. It probably helped that, unlike in Phoenix, I was able to roll all four windows down and drive with the moonroof open without running the risk of heat stroke! The SH-AWD was a nice treat and handling was predictable and responsive. The technology has sure come a long way, too. 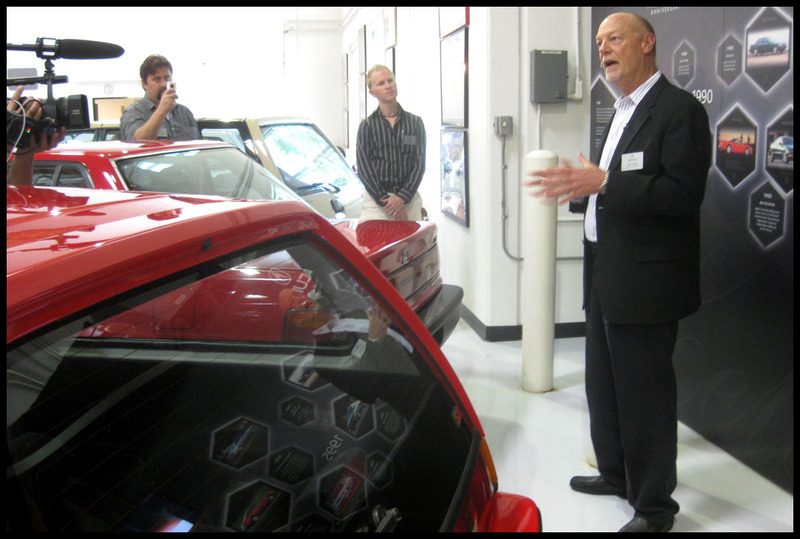 Dave who leads the Acura Auto Show team gives us some history on the brand. Here we are with Dave and Brad. I’ve known Brad for quite some time now and it was great to reconnect with him on this visit. 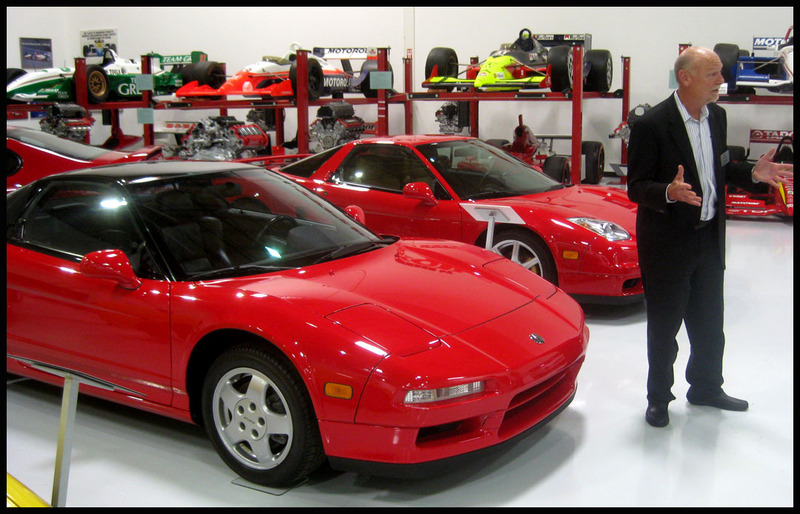 He’s the man when it comes to knowing the ins & outs of the Honda Collection. 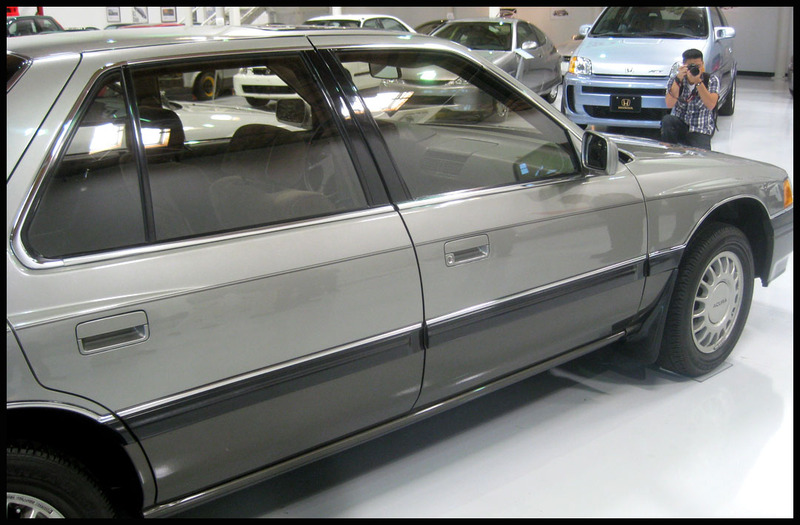 Here’s a glimpse at the car that started it all: The 1986 Legend. 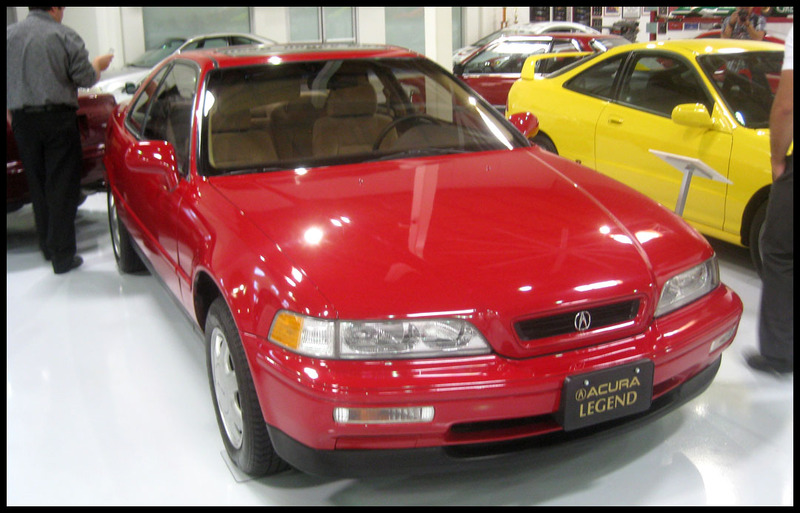 I had to take special note of the 1991 Acura Legend coupe in the collection. Check out the odometer on this one. 300 miles. Pretty safe to say this Legend coupe has had a life very different than mine! What’s not to love about a pair of minty red NSXs? The New Formula Red 2004 behind Dave has only 78 miles on the odometer. Some of the other attendees – soaking it all in just like we were. Sport mode!! Yes, please. The ZDX was a real treat to drive and got a lot of looks from people on the road. 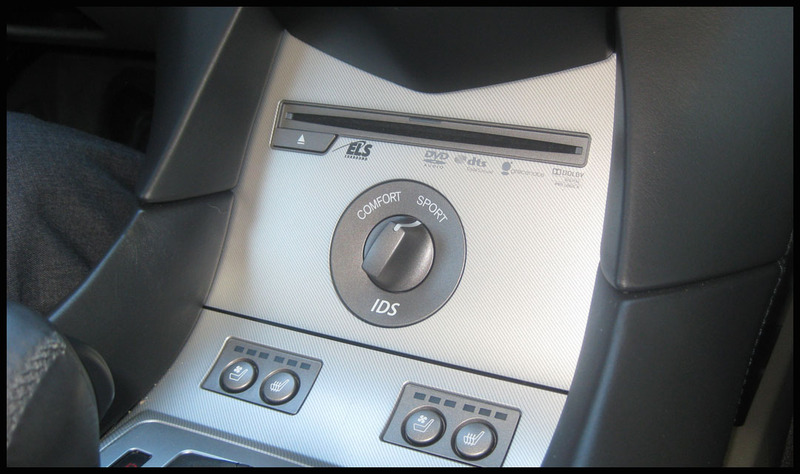 I especially enjoyed the cooled seats. A chance to interact with Aniela who coordinated our visit, as well as Gary and Shannon from Acura Public Relations (and others who I didn’t catch for a photo-op). Great folks! Unfortunately, I didn’t get a picture of the Acura test fleet that we drove today. I must have been too busy (and too excited) driving the cars to take a moment and photo document them. Also, unlike on most trips, I ended up with zero pictures of the road warrior Legend, except for the glimpse you see behind Matt’s shoulder in the above picture as it sat outside conversing with its 2011 counterparts. 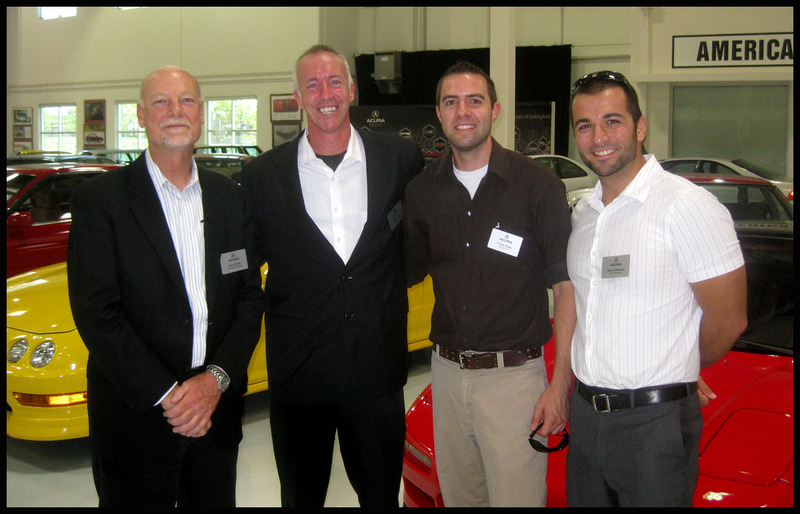 Huge thanks to our great hosts at Acura for a memorable afternoon. This entry was posted on August 13, 2011 at 5:58 am and is filed under California, Legend, Road Trip. You can follow any responses to this entry through the RSS 2.0 feed. You can leave a response, or trackback from your own site. Tyson, someday I want your autograph! 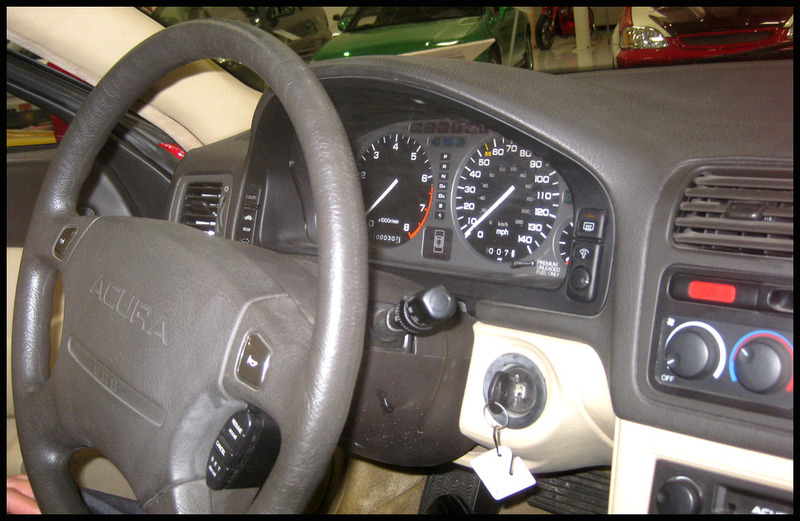 Another fantastic writeup and it looks like the Honda people took good care of you! Kevin, I look forward to meeting you! 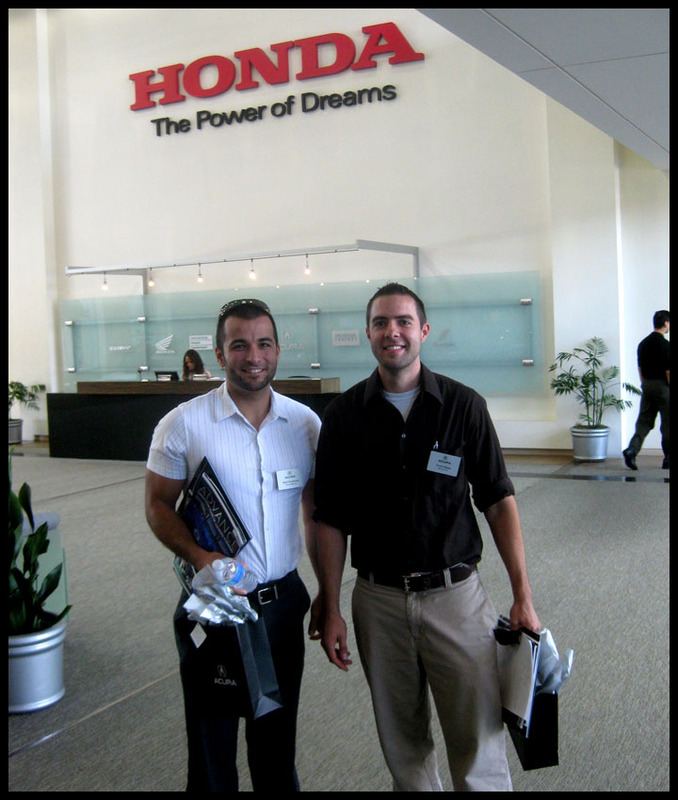 Indeed the Honda people were most welcoming. We had a great visit. I’m digging the site! And it’s great to see me in one of the pics. Silly me forgot to take one with my camera. I’ll be keeping an eye out for when you hit a half million! Dave – it was my pleasure to meet you and I’ve been keeping an eye on your blog as well! Hope you had as much fun as we did driving the Acura fleet. Keep up the great work on your blog. I’ll be rolling the big 5-0 in the next few months so big celebrations await 🙂 Have a great weekend!